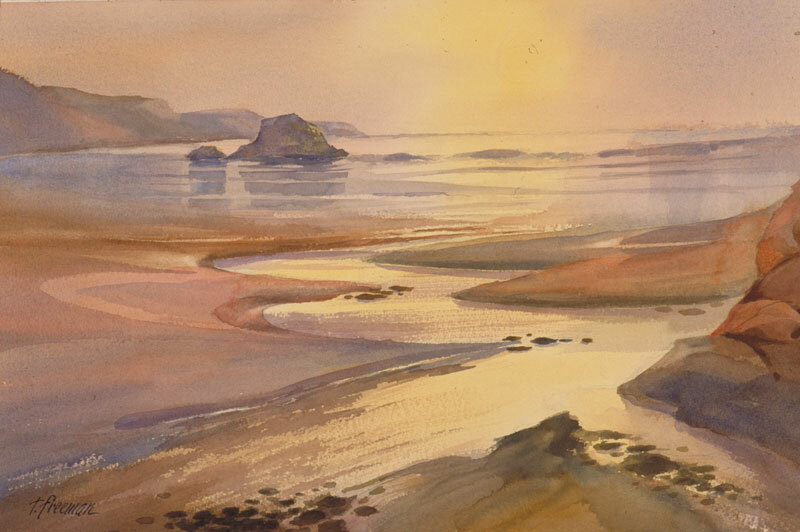 Thomas Freeman Original Watercolor Painting: "Another World"
I wanted to highlight the kind of moody backlighting here, and the stream feeding into the ocean and mingling with the backwash. This was selected for a national show given by the Midwest Watercolor Association (now the Transparent Watercolor Society of America). My wife's reaction was, "it looks like another world" - and there was my title!